In another step forward towards e-governance, Chief Secretary Sri Aditya Parsad Padhi inaugurated the e-offices for IPICOL and Directorate Horticulture today in the conference hall of the IPICOL. A meeting was arranged in the conference hall for the purpose in which Additional Secretary, Administrative Reforms of GA Department Sri R.S. Gopalan gave the welcome address. In his inaugural address Chief Secretary said that the basic aim of e-office is to improve turnout, reduce turnaround time, and ensure more accuracy, quality and transparency in the Governance. This would be helpful in timely delivery of services to the people. Sri Padhi advised the Administrative Reform wing of the department of General Administration and NIC to expedite the process of implementation of e-office at the directorate and district levels. Replying to a media quarry, Additional Secretary Sri Gopalan said that as of now e-office has been put in place in the offices like Commissioner, Commercial Tax, Commissioner Transport, IPICOL and Directorate Horticulture. Center for Modernizing Government Initiatives (CMGI) in collaboration with National Informatics Center (NIC) is implementing this project. Target has been set to implement it in Collectorates of 20 districts in the current financial year. The rest of the districts will be covered by end of December, 2016. The Director, Horticulture Sri Susanta Nanda launching the file movement through e-office on occasion said that all 63 officers and 5 sections of the directorate of horticulture have been connected through e-office. 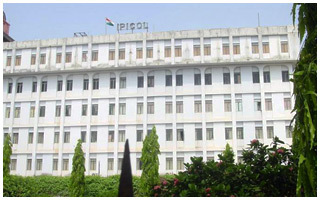 The Nodal Officer of e-office IPICOL Sri Susanta Kara said that all 500 current files of IPICOL have been scanned and put in the system. All 49 officers in 8 sections of IPICOL have also been connected through it. The senior officers of IPICOL, CMGI and Directorate Horticulture were present on the occasion.